As of 1st October 2017 I will be Director of Products at Luxion, the makers of KeyShot. 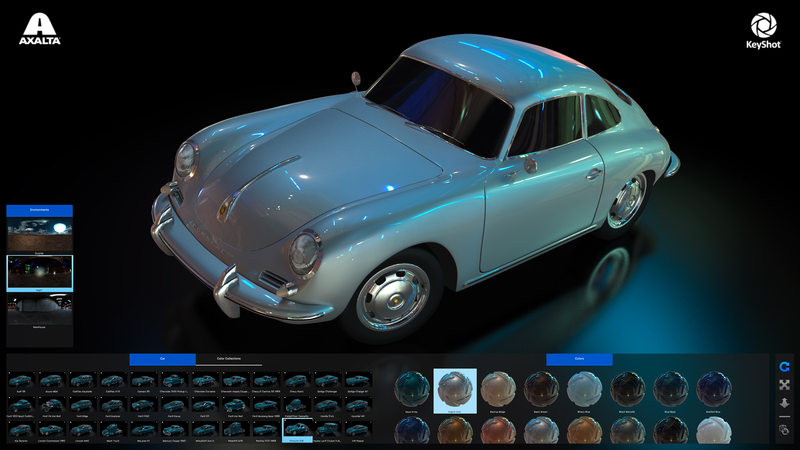 KeyShot is the fastest and easiest to use 3D visualization and animation software available. I will lead the software developers at Luxion into future releases of Keyshot as well as into research of new products. Claus Wann Jensen and Henrik Wann Jensen, the founders of Luxion, inspired me with an intriguing vision of the future of computer graphics. A future, that I simply need to be a part of. KeyShot is already a rock-solid product with a stellar performance and an excellent visual quality – and with a great community of users. The current success of Luxion is an excellent foundation for the next big steps. I am deeply excited to be part of this. I will be leaving my position as Head of the Visual Computing Lab at the Alexandra Institute. This was not a decision I made lightly. Almost ten years ago I approached the Alexandra Institute with the lofty goal of establishing a lab in computer graphics from scratch. The management believed in the lab and provided us the freedom, trust and support needed. For that I am eternally grateful. Today, I look back at almost one hundred projects that have pushed the boundaries of visualization, computing and image recognition in Danish and international companies. I enjoyed every minute of it; getting to know people, learning about new domains, getting funded, working out solutions, and developing software. Today, the Visual Computing Lab is full of experts, and their hard work is the reason the lab has succeeded. The lab is in great condition for the future with well-funded strategic projects within AR-VR, Drones, Satellite images, Big Data, and the Creative Digital Industry – and with customers who keep returning for cutting-edge consultancy, prototypes, and custom software.